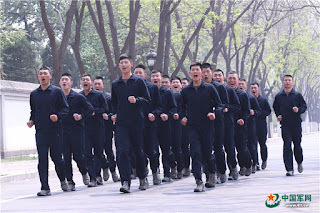 The CMC decommissioned three divisional headquarters (43rd, 44th and 45th) on April 19th, their regiments are now reformed into 6 brigades (127th, 128th, 130th, 131st, 133rd, and 134th) directly under the corps headquarters . 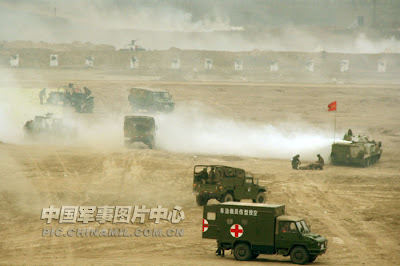 Additionally, there will be a new SpOps Brigade , a Strategic Support Brigade (Engineering, Communication, etc) and an Aviation Brigade(Fixed And Rotary Wing Aircraft) bringing to a total of 9 line brigades. 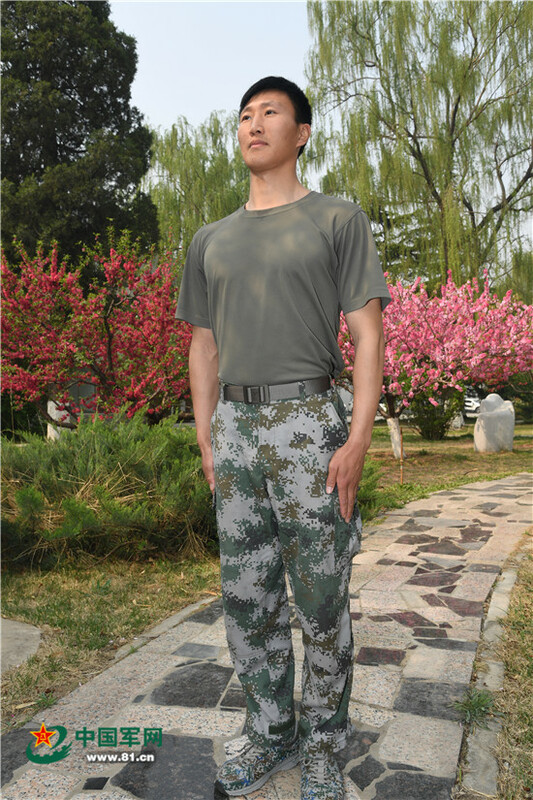 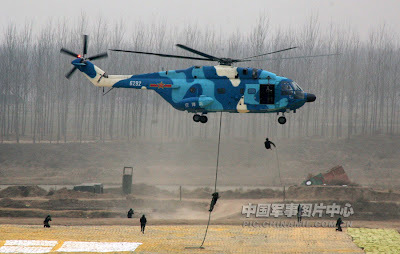 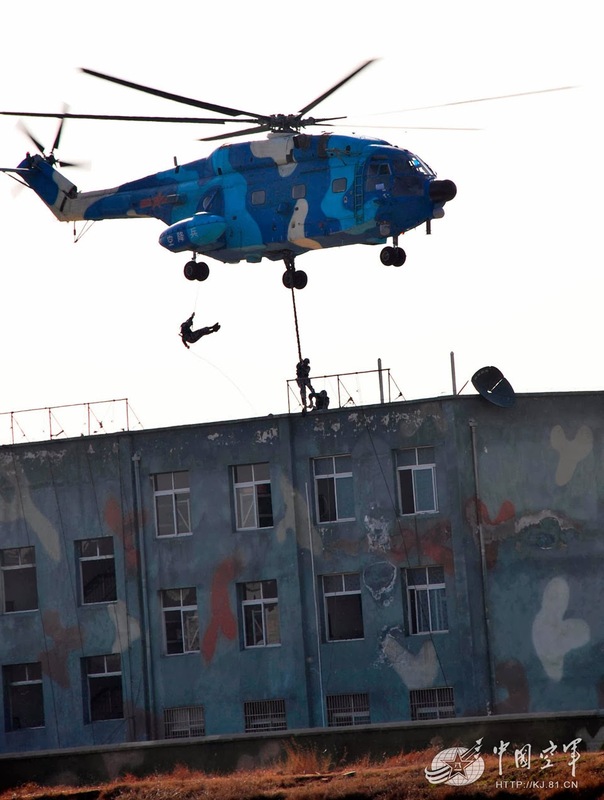 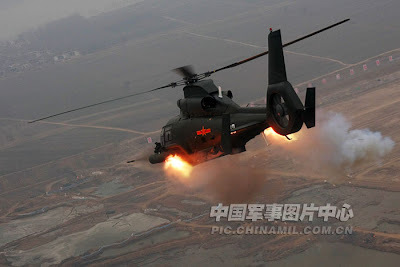 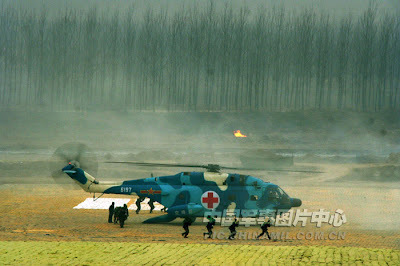 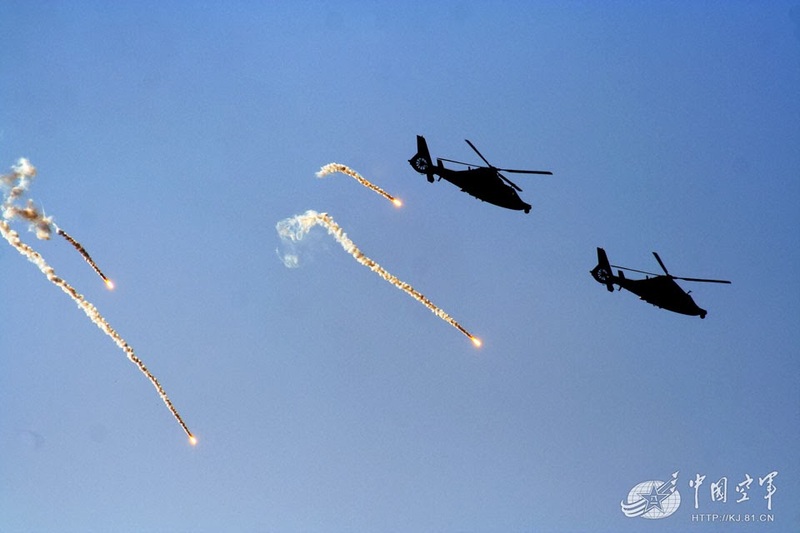 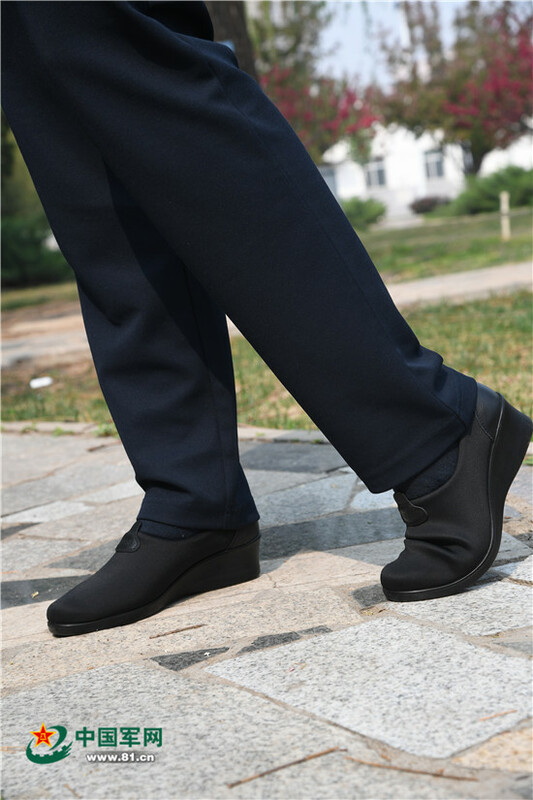 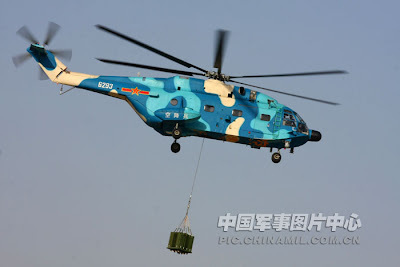 The 15th ABC's organic helicopter regiment was first revealed during the 2008 Sichuan earthquake rescue work and then by a high profile fly-by during the 60th national day celebration. 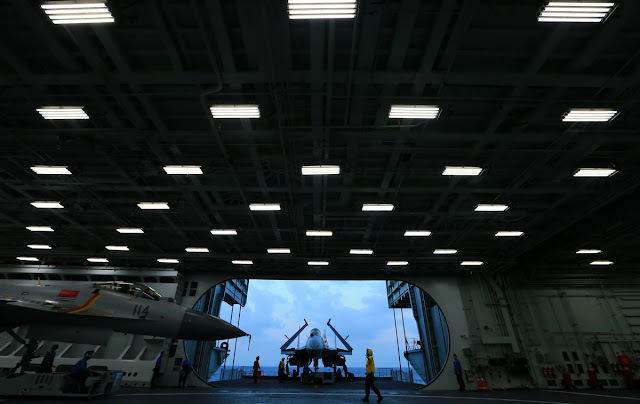 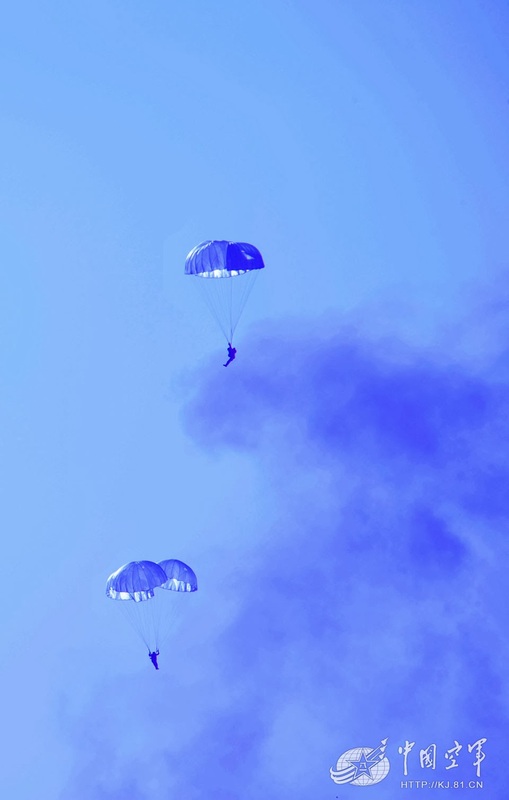 It is now time for the 15th to test its newly found air mobility assault capability in a large military exercise. 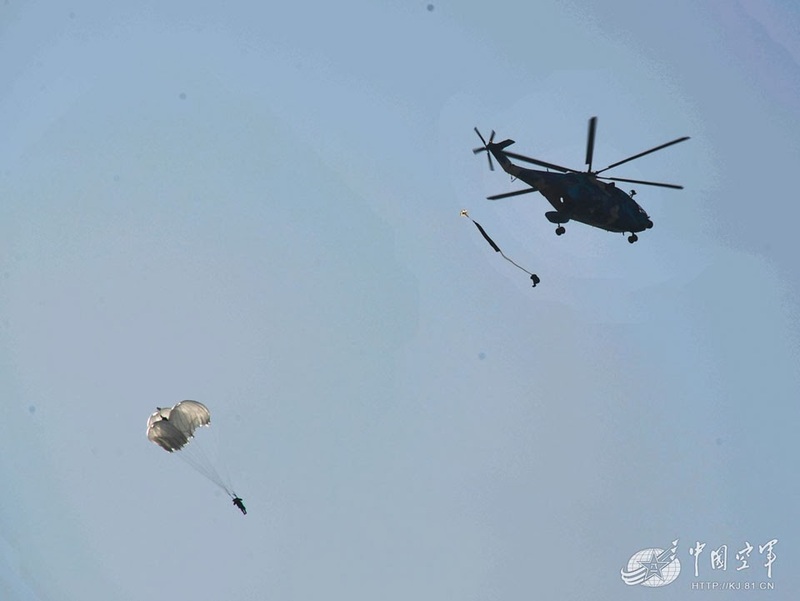 The advantage of air mobile assault over airdrop are many: ranging from entire unit delivery in one place--which immediately allows combat-readiness, precision resupply landings, to on-station fire support from helicopter gunships. 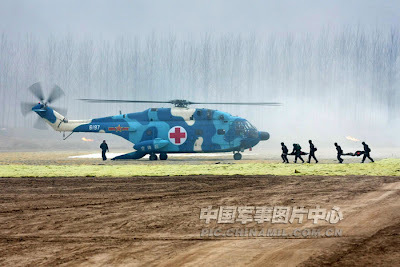 In time, it will be interesting to see if a small portion of the 15th ABC will be converted into air-cavalry to enhance the corps' mission profile. 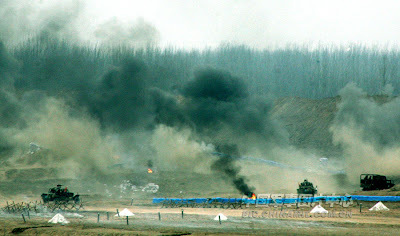 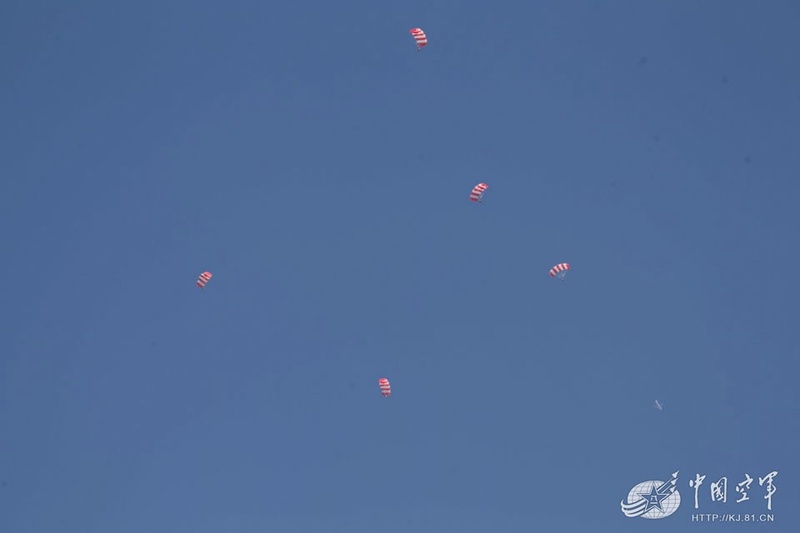 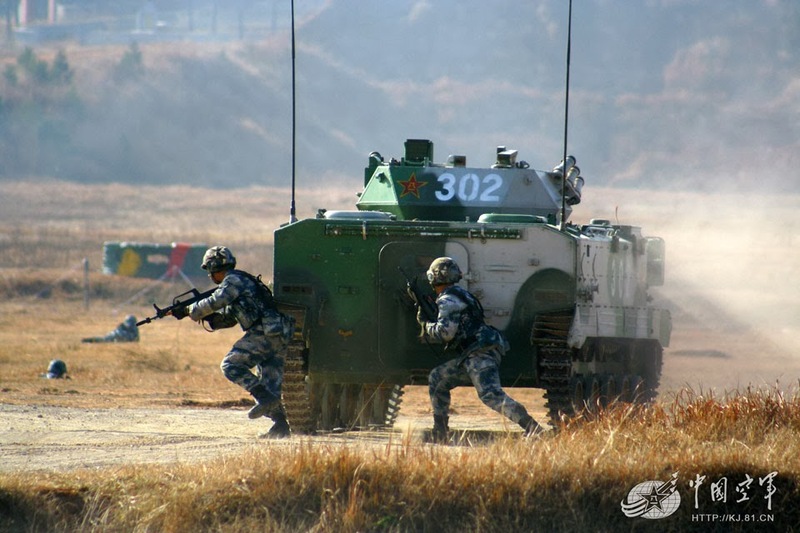 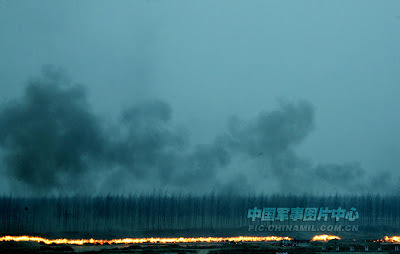 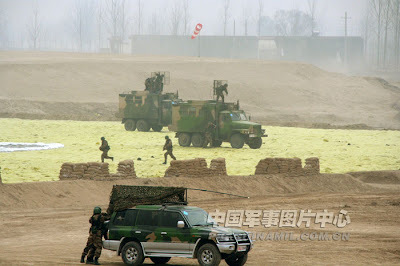 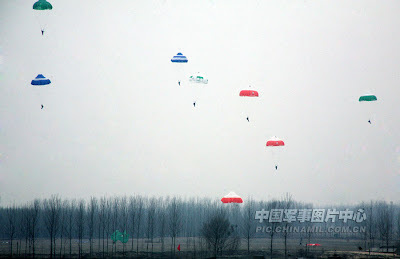 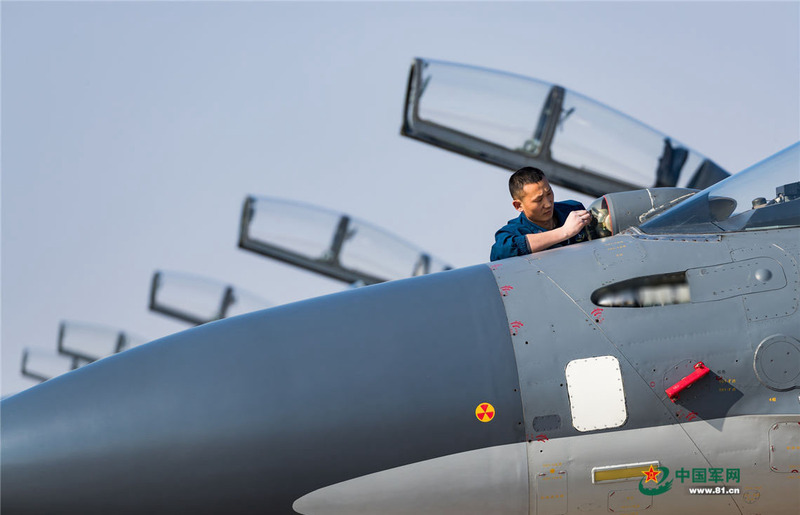 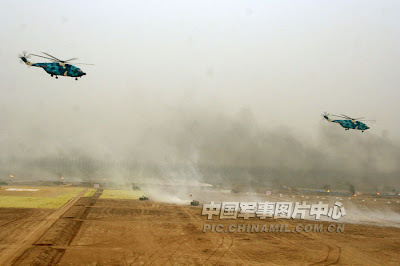 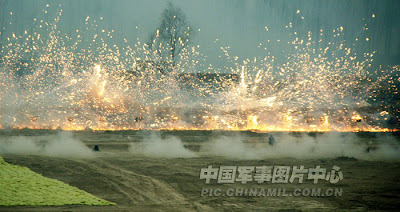 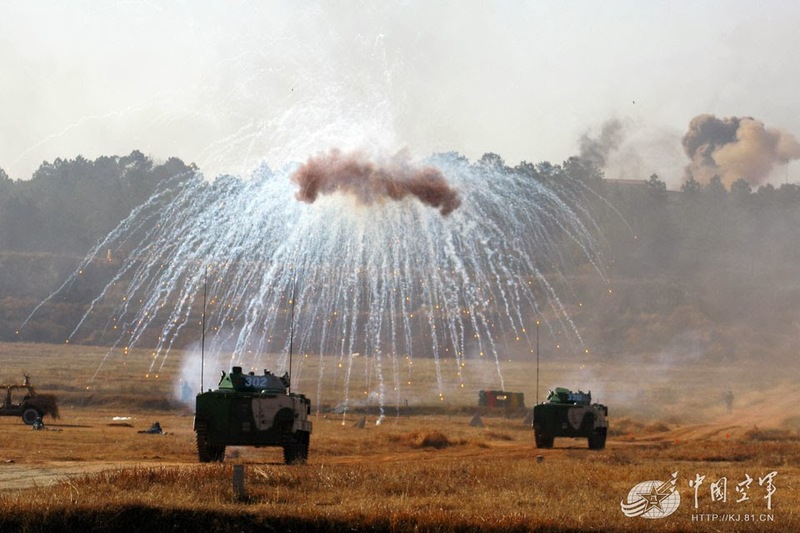 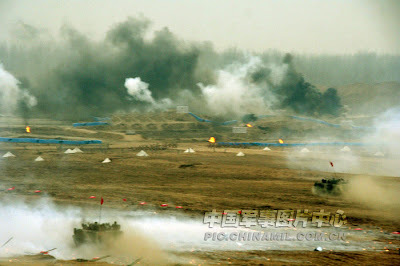 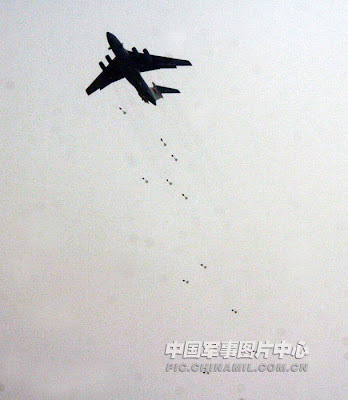 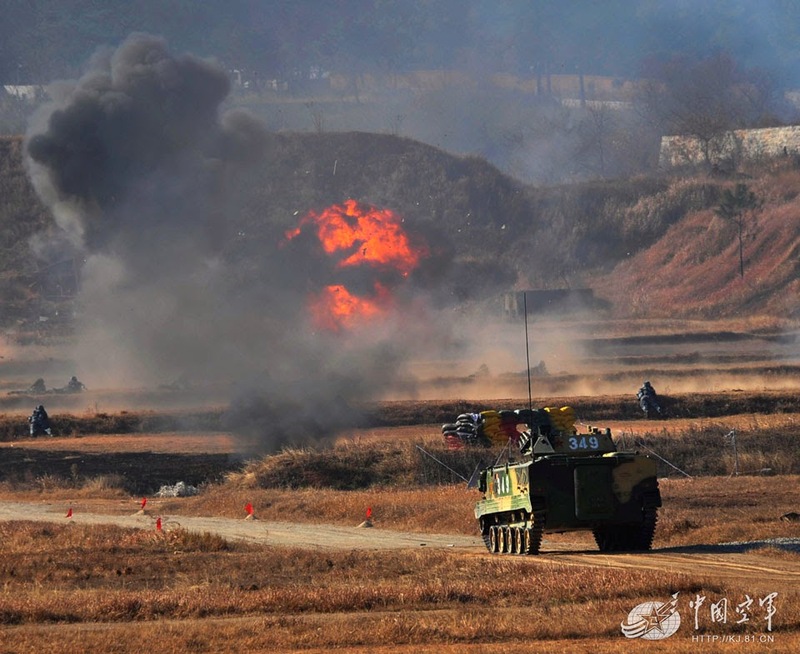 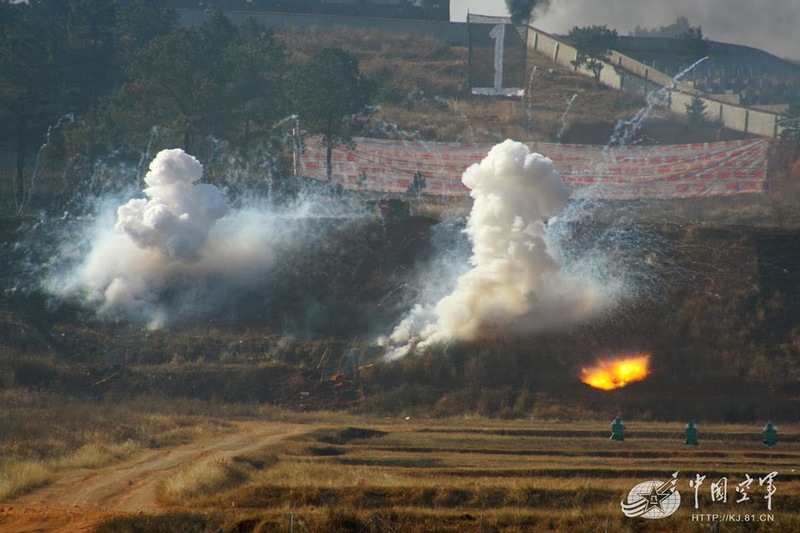 Since the beginning of the training of the new year, a troop unit of the airborne force under the Air Force of the Chinese People’s Liberation Army (PLA) has organized the comprehensive exercise of live shell, actual-airdrop and actual-explosion strictly in accordance with the new Outline of Military Training and Evaluation. 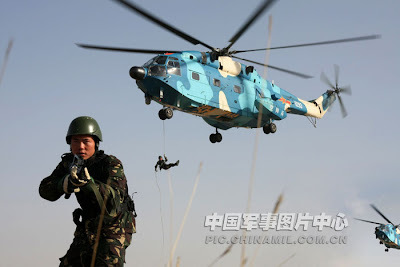 During the exercise, it stressed training on such subjects as command and control, airborne landing and airdrop, fire strike and comprehensive support, in a bid to enhance the core military capability of the troops. 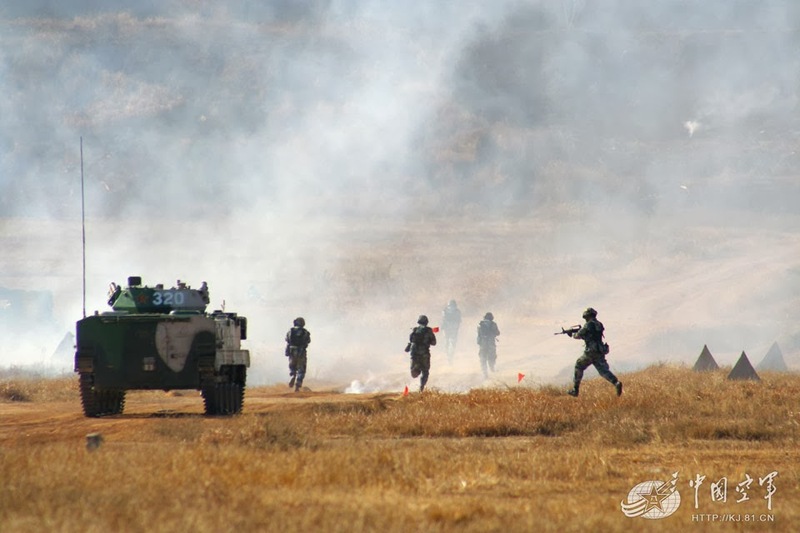 Shown in the pictures are some scenes of the troop unit in training.